What to see in Yekaterinburg in one day? When you arrive in a new city, you want to visit as many interesting places as it is possible, to see the most important of them. However, what to do if you have only one day? Don’t get desperate because Yekaterinburg is the most compact multimillion city. It means that you will have enough time to see a lot. You may use the official rout marked with a red line or follow our advice and go on another trip. The main places of interest will not remain without attention. 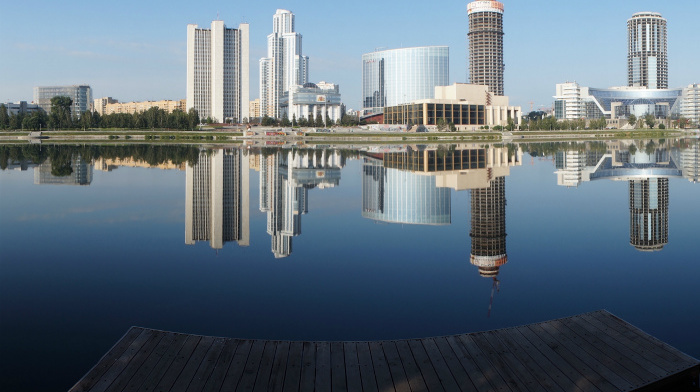 It’s a well-known fact that Yekaterinburg was founded as a factory city. 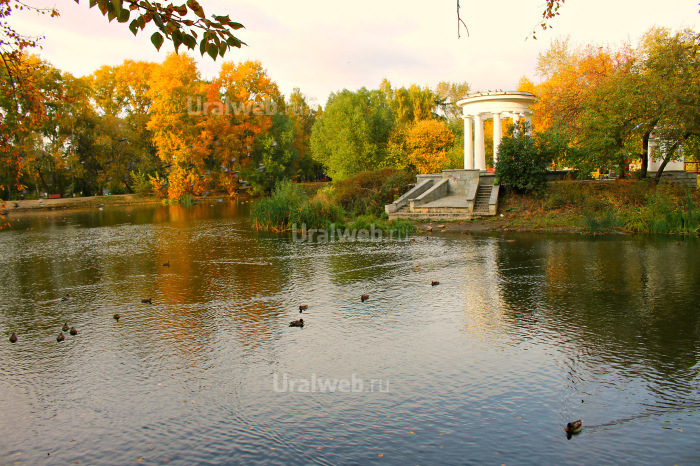 Usually the guests of the city start learning it from the City Pond embankment (Plotinka). However, today we’re going to change the rout a little bit and start from the viewing point on the roof of Vysotsky Business Center. Before walking around the city, we recommend you to look at it from bird’s-eye view. Having looked at the city from above, you will understand why it’s called the most compact multimillion city. We highly recommend you to use an audio guide that was created by real professionals. The tickets cost 350 rubles. Only cash is accepted. By the way, buying a ticket you get an opportunity to visit the Museum of Vladimir Vysotsky for free. It’s located on the ground floor of the business center. If you are the kind of person who goes to the Pyramids in Egypt first, than you should visit the Museum of History where the Shigil Idol is kept. Firstly, because it is older than the Pyramids. 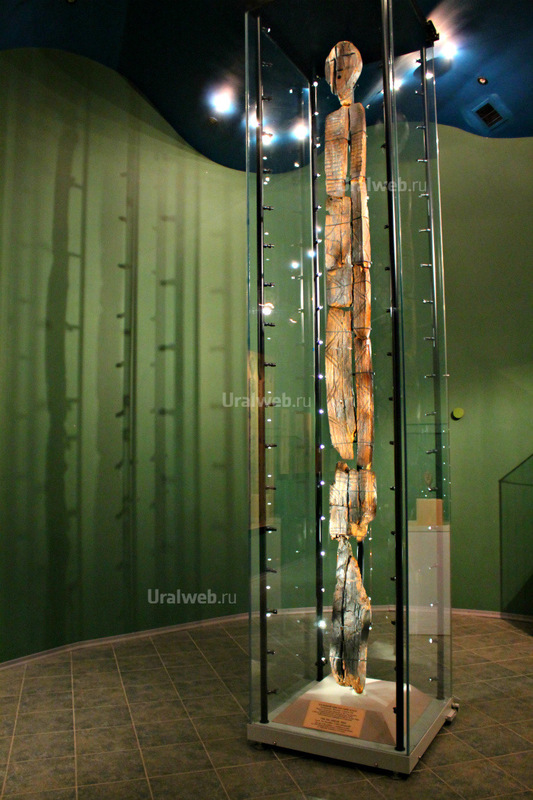 Secondly, it’s the oldest wood sculpture in the world (the age is approximately 11 thousand years). You can visit not the whole museum but buy a ticket to the hall with Idol only. The tickets cost 200 rubles. 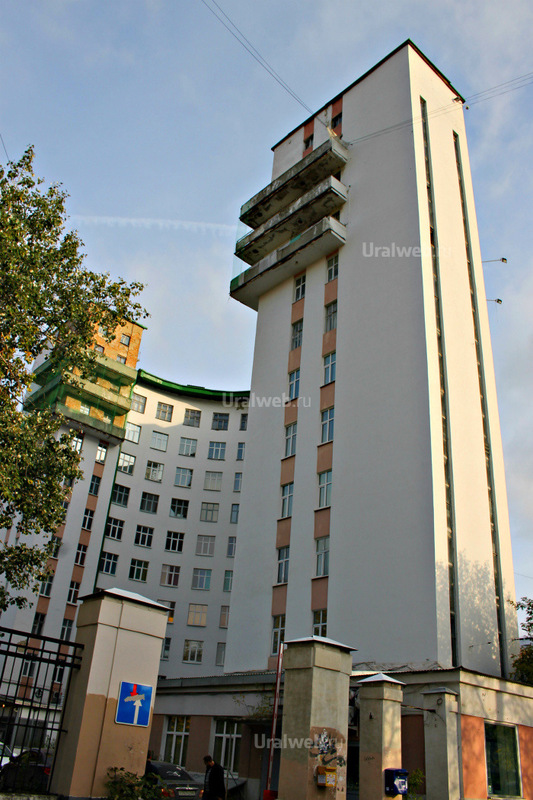 Yekaterinburg is the biggest center of USSR Constructivist architecture, too. Constructivism is an avant-garde genre that appeared during the post-revolution period. A lot of architects and art experts from every corner of the globe come to Yekaterinburg in order to look at Constructivist architecture. 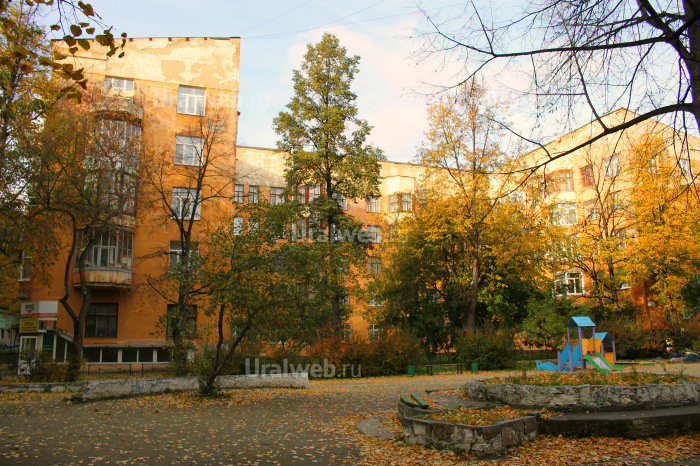 Chekist town is an NKVD living community, which consists of 14 buildings. The people were supposed to live there as a commune. A canteen, a hospital, a kindergarten, a cultural center and a bathhouse were built in the town. The kitchens in the apartments were not planned, people were supposed to eat together in an organized way in the canteen. There is a legend that if you look at Chekist Town from above, you will be able to see «the Hook, the Hammer and the Flying Flags». The Hook is the semicircular building of the Iset Hotel, the Hammer is the Museum of History with an outbuilding, the Flags are other buildings. Try to catch them while visiting the Viewing point. However, the NKVD dwelling complex, more precisely its vaults and catacombs are notoriously famous. 5-7 years ago, you could go down to the vaults but now the entrances are immured. It’s well-known that all the houses were connected with one corridor system of vaults. We can only guess now what was happening there. The members of the Kharitonov-Rastorguevs family were famous Ural merchants. The head of the family started building his Palace in 1814. The most horrible city legends are connected with it. The legend says that the Palace was designed by a captive French architect who was promised to become free after the end of the work. However, Rustorguev did not fulfill his promise. The architect was returned to the prison in Tobolsk where he pronounced a malediction upon the family and hanged himself. From that moment, the range of deaths started in the family. Children were dying one after another, they didn’t live through their first birthdays. The legend also says that the head of the family made his wife starve to death, married a gypsy and jumped out of the window later. Pyotr Rastorguev, who was his son-in-law, inherited the house. He was a cruel, willful person who martyred many factory workers. Generally, Yekaterinburg likes the legends about horrible vaults were people were martyred and decayed. The legend about the catacombs of the Kharitonov-Rastorguev Palace is not an exception. It’s a scientific fact that the underground passages existed but we can only suggest what secrets they are keeping now. The church is located right opposite the Kharitonov-Rastorguev Palace. 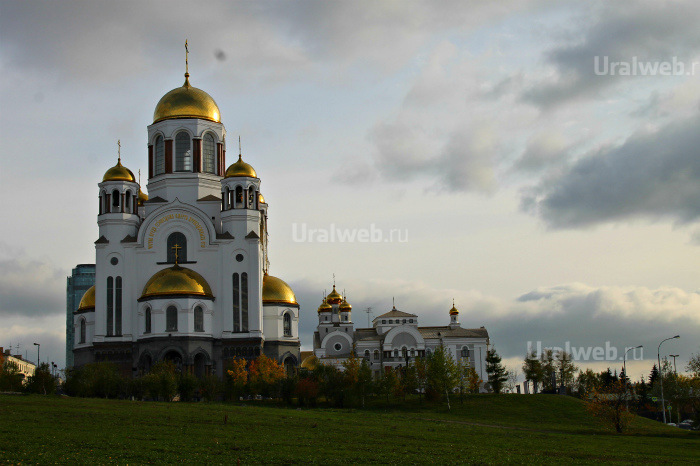 It’s one of the biggest Orthodox churches in Russia. The church was built in 2003 at the place where the tsar family was murdered. In 1918 a huge stone palace of engineer Ipatyev was on that place. The royal family was taken there from Tobolsk. The house was supposed to be the place where the family of Nikolai II was to stay before going to trial in Moscow. However, on the night of July 17, 1918 the tsar family was shoot down in the vault of Ipatyev’s House. The Church on Blood is an acting church and a museum complex now. There is a series of exhibits dedicated to the last months of Emperor Nikolai`s II life in the museum part. The City Pond Embankment has long ago turned into the place of street festivities. From this bank, you can see the State Academic Drama Theatre, merchant Pshnenichnikov’s house and the House of the Chief of the Gorny District in which once Alexander II himself and a famous poet V. Zhukovsky danced at a ball. 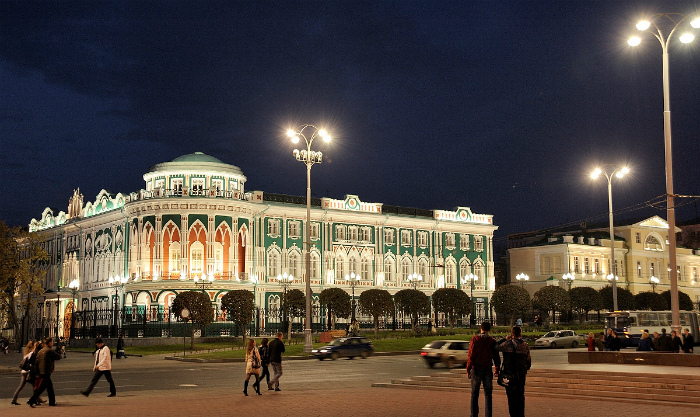 This palace is an undoubted decoration of Yekaterinburg. The official of the Mountain Department Sevastyanov once owned it. 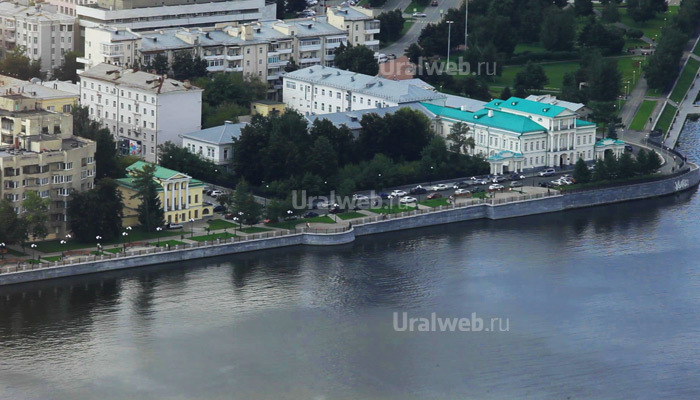 The city guests often wonder if Yekaterinburg was so rich that even a usual official could afford such a palace. To tell the truth, the way the collegiate assessor got the mansion is a mystery. Maybe he won a lot of money in a card game or knew some secret but the fact is that you could build only a small wooden house on a usual official`s salary. The palace is unique, it is the only Ural mansion built in neo-gothic style. It is the place of Yekaterinburg’s birth. In 1723 Peter I ordered to start building the biggest iron-making factory in Russia. The dam is the oldest building of the former factory. It was built of the Ural larch that does not decay but petrifies in water. 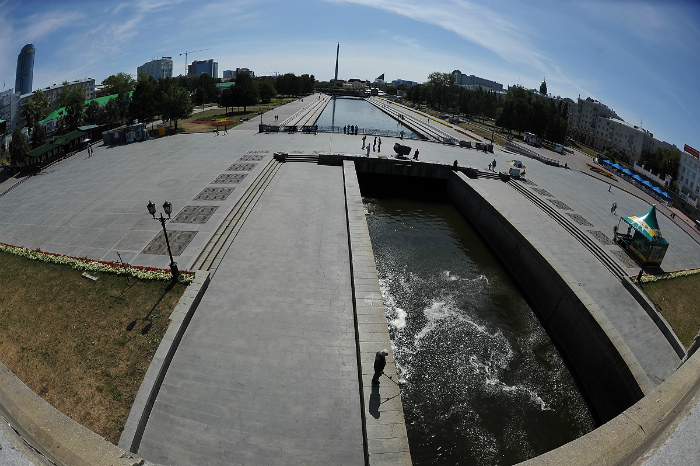 Now there is a museum zone on the left bank of the Iset River and a memorial zone on the right bank. In the memorial zone, «The Garden of Stones» is located. «The Garden» consists of a big collection of Ural minerals. There is the Museum of Fine Arts on the same side, closer to Malysheva Street. There are still some historical building preserved in the museum zone. 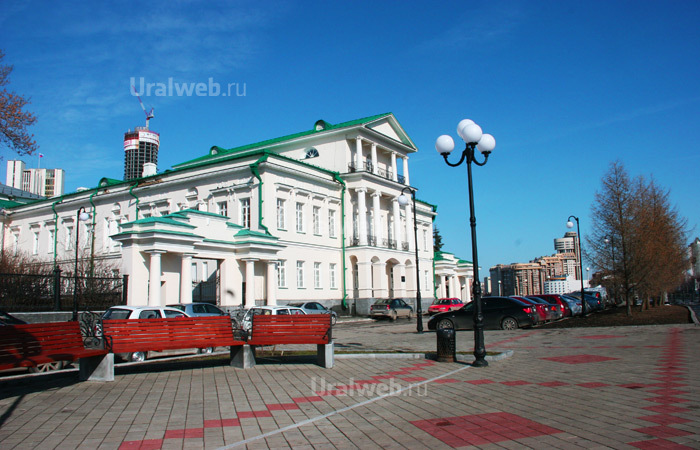 There is the Museum of Architecture and Machinery of the Urals on the place of former mint. By the way, the mint used to produce monetary notes for the whole country. The Nature Museum is also located in the building once owned by the factory and later by the mint. The Water Tower located on the dam of the City Pond is a peculiar city symbol. It was built in 1886 near the railway manufactories where the water was taken to. The appearance of the Tower has not changed since that time. At the same place the Monument to Yekaterinburg city founders Tatishev and de Genin is located. 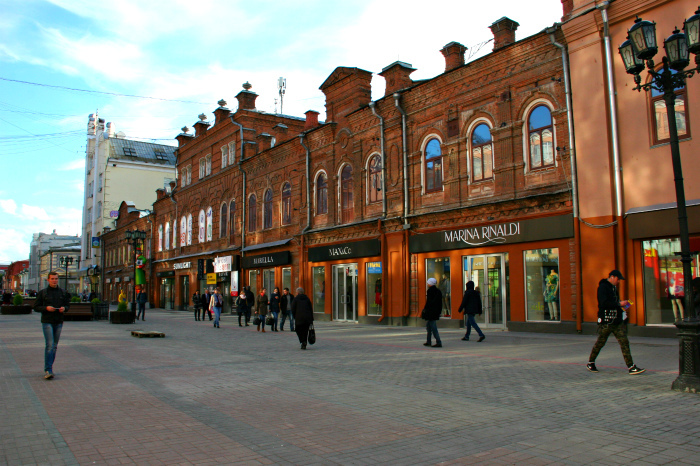 Vaynera Street has always considered to be the most important trade street of the city. All famous Yekaterinburg merchants had their shops here. The appearance of the street has not changed much since the time the merchants traded here. Vaynera Street is a pedestrian zone now. Many people call it «Yekaterinburg Arbat». Here street musicians often play, the youth see each other and sectarians tell about their beliefs. Shops, cafes, holiday-makers — these are about one of the most favorite city streets, Vaynera Street. We suggest ending the walk in the most arguable and multiple-valued place of our city — Yeltsin Center. The personality of the first Russia’s President Boris Yeltsin has always caused social argues, that’s why the opening of the Center became the head stone of this eternal argument. Nevertheless, the Center became one of the biggest cultural and entertainment platforms. A gallery, a bookstore, a children university, Newton Park, a cinema in which intellectual and rare documentary films are demonstrated, and, finally, the museum of the first Russian President B. Yeltsin are worth visiting. It`s an ultramodern museum exposition answering the question of how a future museum platform must look like. It`s an innovative, original project that enables visitors to plunge into the atmosphere of 90s and brings Yekaterinburg into line with such museum monsters as the Holocaust Memorial Museum, the National Museum of Scotland, the presidential library of Bill Clinton because all these projects were created by Ralph Appelbaum Associates, the world biggest company implementing museum design.